Located in Woodbury, New York, Team Raj Jaggi helps individuals buy and sell properties across Long Island and the New York area. As a leading team in the real estate industry, we incorporate proven, professional state of-the-art techniques specializing in the marketing, listing and selling of new and resale properties, residential homes, condominiums, commercial properties, home sites, undeveloped land and commercial and investment opportunities. We provide the most professional, informative, loyal and dedicated service in the industry. The best interests of our clients will ALWAYS come first and we will place the clients’ concerns ahead of our own in each and every transaction! Why? Because this team is dedicated to the development of long-term client relationships. The real estate industry is heavily reliant on referrals and word of mouth – therefore, every sale and purchase is an opportunity for us to get an exemplary review. 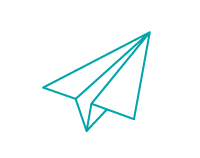 Our team-approach philosophy ensures your needs are important to each and every member of our organization and gives you, our client, endless access to professionals who can answer any questions or concerns you may have through our partnership. Team Raj Jaggi consists of a full-time staff of well-trained real estate professionals who continually strive to provide top quality service for their individual clients and customers. Raj Jaggi, our team leader is an awarding winning realtor who has been in real estate for over 12 years. When selecting his team, he selected individuals who share the same goals as him – to sell real estate honestly, with integrity and to provide exemplary service, every time. Our success is ONLY measured by our client’s satisfaction with the job we provide -- NOT by commission. Raj & Team, No words to say - thanks to you and your team for endless list of helping us to find THE house. Endless Efforts - Professional - Positive Attitude - Realistic Suggestions at every step of the process - We have such a long list. Thanks again and we shall always be recommending to all our near and dears whenever they need to avail your and your team's professional service. Thanks-a-Million again and again! Our Mom had passed away and my sisters and I were left with many loose ends to tie up with co's and and a house with many code issues that presented a huge problem. And along came Raj Jaggi. In a relatively short amount of time, Raj was able to sell the for cash at a fair and equitable price. He is a very attentive and available at any moment to take care of every detail.! He is a true gentleman with a big heart! It was my Pleasure working with Mr. Raj and his team. He is very Professional & Honest & Patient, He helped us finding our DREAM HOUSE in timely fashion. I bought my first home and as a first time home buyer I had gazillions of questions which Mr Raj answered patiently. I would highly recommend Mr. Raj and his team for any buyer out there in the market who is looking to buy a dream house. Thank you very much Mr Raj for your help and Support. Hats Off to Mr Raj and Team !! While searching for my next home, one of my best friends referred Raj Jaggi to me. I met Raj and, after discussing what I was looking for, he promised to help me find the perfect home. He assigned Erik from his team to help assist me in my search. Erik and Raj both had a ton of patience as we looked at multiple homes over the span of a month. Eventually, I found my dream home which also happened to be a new construction! Raj helped negotiate a price I found was reasonable and we closed within a few months (mostly waiting for the construction work to finish). I recommend Raj if you're looking to purchase a new home, especially in the Oyster Bay area (which is where I was mainly looking). Raj Jaggi shows great expertise in his field of real estate. He made the process of buying a house as smooth as butter, and not only that, he also guided us in acquiring another property as well. 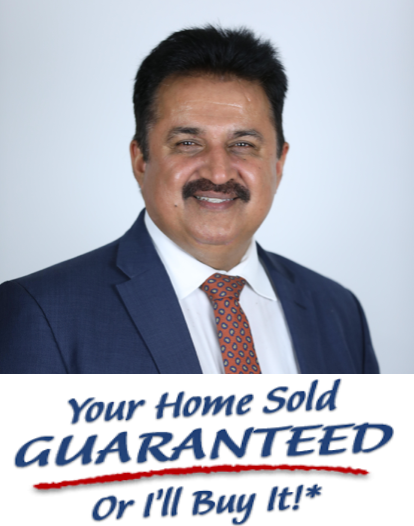 Raj was extremely friendly, very patient with us, and extremely knowledgeable on the steps to acquiring a new property, I would definitely recommend Raj for anyone who is looking to purchase a house. We bought our first house through Mr. Raj Jaggi. He is an excellent agent, who helped us out through out the entire process. It wasn't easy for him either to get us our dream home since we were very picky. But now we are really happy with the outcome and our new home. He introduced us to the right builder and explained him what we really want in our home. After that our journey became lot easier and we saw our dream forming right in front of our eyes.. Really a big thanks to Raj and his team. We interviewed a handful of realtors before listing our home and decided to go with Raj Jaggi. He seemed to understand our needs and promised to get top dollar for our home and sell it quickly. Well Raj delivered on his promise. He listed our house on a Tuesday, we got multiple offers at our first open house the following Saturday, accepted an offer above asking price on Sunday and went into contract within 10 days! We closed in 6 weeks. The closing was smooth. Raj was very attentive and always available. We would recommend him and his entire team in a heartbeat. He's one of the good guys. I had a pleasure meeting Raj Jaggi in process of buying a house in Franklin Square, NY through Zillow. He is a very knowledgeable, honest and straight forward person. I disclosed my requirements for the house I was looking for and he found me the match in very short time. The transaction went very smooth because he found me the best professionals in his team for everything. I also sold my previous house thru him, It was exact same wonderful experience, smooth and fast transaction. Now to the main question: Do I recommend him to the family and friends? "YES" I will definitely recommend him. I have recently bought a house. Since I was the first time home buyer, there were many things I was not aware of. During this time the real-estate market was really busy and finding the right house was nearly impossible. Thankfully, Raj helped us every step on the way. Within the 2 weeks of the consultation he showed us a house that was just right for us -- and we signed the contract week after! Raj is not only a great agent but also a great human being. After the closing we came across some problems - which originally should have been taken care off by the previous owner. Raj took time out of his busy schedule and made sure everything was taken care off. I would definitely recommend Raj to everyone whose looking to buy a house!! After looking at dozens of homes and going through so many brokers I finally met Raj Jaggi and his team. They promised to find exactly what I was looking for in 30 days. Skeptical at first -- I thought, let's give it a try. They proved me wrong!! In just 3 weeks they helped find the perfect home for my needs. They understood exactly what I wanted and stayed within my budget. They helped me every step of the way and provided assistance whenever I needed it. The best part was I could get in touch with their team anytime during the day or week. I couldn't have become a home owner without their help. They made my home buying experience so memorable. Thank you so much Team Raj Jaggi!!!! Highly recommend them! Redirecting to searchhomesinlongisland.com to complete your search.